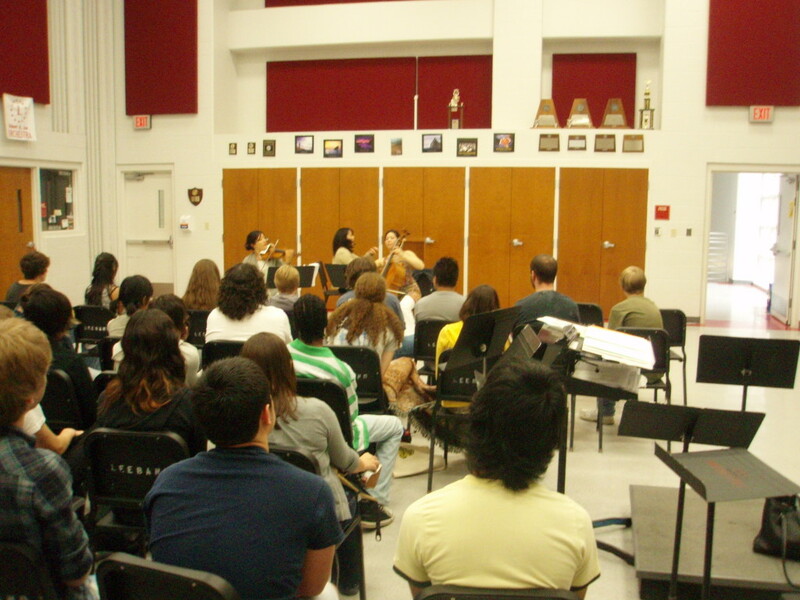 The Lee Trio presented an excellent educational concert for the orchestra class at NESA. Some of the students in the class are composers, thus the first piece played was very welcome to their ears. 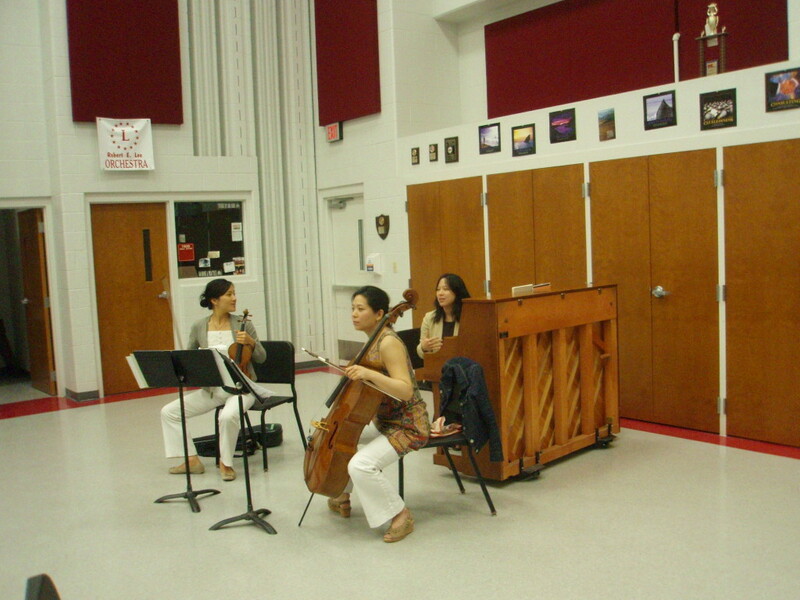 It was living composer Nathaniel Stookey’s piano trio which was commissioned by the Lee Trio. The trio has three movements each of which is a musical depiction of one of the Lee Trio members’ Chinese name. The students were a model audience –it was so quiet one could have heard a pin drop between movements. After the concert one student confessed to me that he almost cried during the Stookey. I found his comment to be honestly refreshing and also interesting since I too found the piece to have some quite sad moments. Second on the program was a scherzo movement from a Mendelssohn trio – one of the mainstays of the piano trio repertoire – which the trio played impeccably at a scorchingly fast tempo. They closed with the Primavera movement of Astor Piazzola’s Four Seasons of Buenos Aires. First violinist, Lisa Lee, played delicious and atmospheric glissandi throughout this movement. All three sisters – Lisa, Angela, and Melinda – answered questions from the students with openness and spontaneity. There was an intense give and take during the Q&A which was inspiring to witness. We thank the Lees from the bottom of our hearts for their gesture of generosity in providing this very memorable live educational concert!